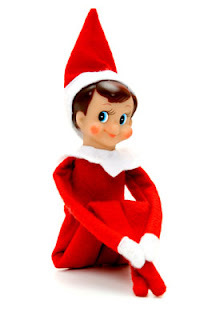 Mels Box of Chocolates: Has your Elf arrived on his/her Shelf? Has your Elf arrived on his/her Shelf? Zoe came home today from school saying that she thinks our Elf has gotten lost this year because all her friends at school have been talking about the arrival of their Elf. It's been a big debate in our house when the Elf usually arrives. Dave and I seem to remember him coming December 1st, but the kiddos seem to think he was supposed to show up the day after Thanksgiving. Has the elf arrived at your house? When does he usually make his appearance for the season? ?